It is truly hard to believe almost 8 days of this blessed month have already passed us. I take this opportunity to write something about my experience celebrating Ramadhan for the first time in the UK . The holy month of Ramadhan in the UK started on 1st September 2008 just like Malaysia and unlike Pakistan and some other countries, they began on September 2nd. The time for suhoor or “sahur” is around 4.00 am and Maghrib at 8.00 pm i.e. about 16 hours of fasting. Next year, we will celebrate Ramadhan during summer and we may have to fast for more than 18 hours as the time for Maghrib is between 10-10.30 pm. As one of the committees of the Durham Mosque, I volunteer to assist the preparation for daily Iftar Jamai sponsored by the Durham University Islamic Society. All the foods for Iftar are taken from one restaurant in Newcastle, about 16 miles from Durham University. As for Taraweeh, we are very delighted to have a hafiz to be our Imam, Mr. Atif from Libya. Interestingly, he recites al-Quran in different qiraat. (At the first time I heard he recites surah al-Baqarah, I found different kalimah has been used in certain ayaah). Between the Taraweeh prayer, there is a short and concise tazkirah that will be delivered by the appointed speakers. It reminds me a lot on the duty towards seeking forgiveness from Allah and not to miss the opportunity to fulfill Ramadhan kareem with continous amal. Beside, I also joint programme of Tadarus al-Quran in the Mosque with a few of my colleagues. It takes an hour to finish the whole one juzu’ of al-Quran. The Malaysian society in Durham organises Kuliah Hadith and Tafsir every Friday and Usrah on Saturday. Usrah activity in Durham reminds me the first Usrah I attended in 1990 when I entered Madrasah Idrisiah, Kuala Kangsar, Perak. I still remember my fellow usrah members and Naqib such as Cikgu Mustafa, Cikgu Hamdan and Ustaz Anuar Jusoh. I admit that Usrah changes me a lot. It really opens my mind and exposes me with the Islamic movement, dakwah, jihad, faith, amal and many issues related with the religion of Islam. That’s all for today. Happy Ramadhan al-Mubarak. 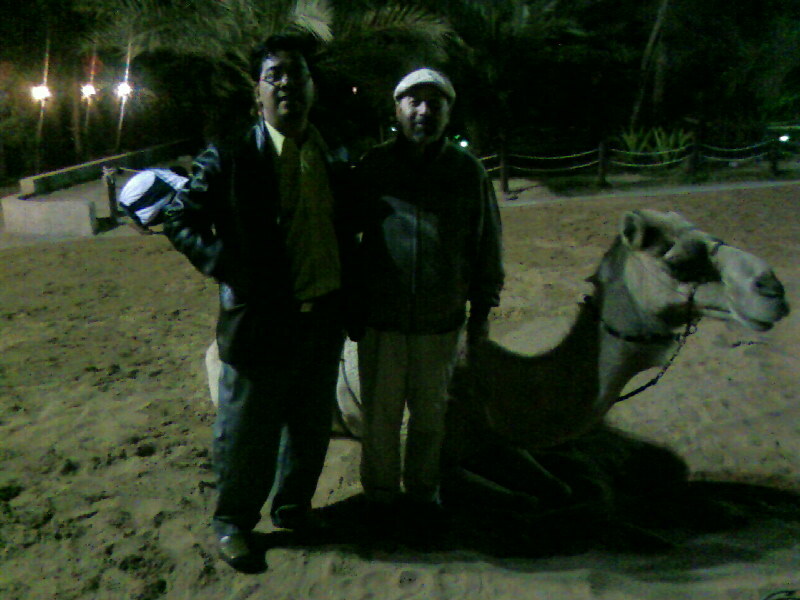 With Professor Dr. Hussein Pirashteh in Dubai, United Arab Emirates.